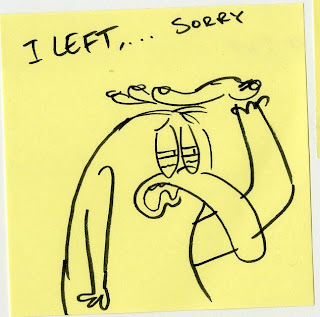 A post-it I left for Joey... when I left. Manny & Khan update soon. 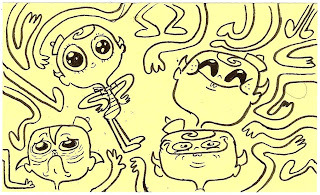 Loving the FlapJack doodles! 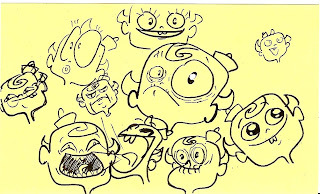 And Manny looks so sad, I wanna give him a hug or something.